Guys on boat great. Had lost camera in water and they were able to retrieve it for us. Saw many stingrays and a turtle came up close. Area was crowded however. Also had availability of beach access but left early. We didn&apos;t see a turtle but I understand it&apos;s wild live. This tour was awesome. We snorkeled, swam with a turtle and had a beach break. It offered lunch and drinks. The staff were amazing the snorkeling was great got to swim with a turtle. The crew of the Catamaran was great! We did see turtles and a sting ray. We did see turtles and a sting ray. The shipwreck was interesting to experience. This was a 4.5 hour tour that was too include snorkeling with turtles and sailing. Next stop was to swim with turtles. We met James the taxi driver who took us to the beach in Barbados which was BEAUTIFUL! was taken off shore (a few hundred meters) and swam above a shipwreck and then taken to swim with the turtles. Saw a few small ones at the bottom but still was a great experience. This was one of the BEST excursions we have ever taken. This was one of the BEST excursions we have ever taken. Swim with Turtles, Shipwrecks, Snorkel and Beach. Very cool. Saw turtle about 5 feet away.....pink sand on Carlile Beach ..rum punch was awesome!! Tiami 5 star tours always does well. Tiami 5 star tours always does well. The snorkeling is fun, the beach break is nice, and the food is good. Have done this one before and can recommend it highly. Lovely big catamaran is comfortable, crew are excellent. Part of the Moon Dance tour . In Barbados we did the turtle and shipwreck snorkel. A combo turtle/snorkel/beach tour was enjoyed, but only saw 2 turtles and didn&apos;t get to swim near them! Probably seasonal, so we should have researched a bit more. Nevertheless, enjoyed the snorkeling and beach portions of the tour. Excellent excursion, great fun, great food, great snorkeling! Took a Tiani catamaran out for snorkelling with turtles which was awesome. We took the Tiami 5 star catamaran cruise and turtle swim/snorkel event. 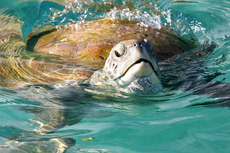 We took the Tiami 5 star catamaran cruise and turtle swim/snorkel event. First class operation by the crew and well worth the price. In Barbados, we again went on a catamaran sail and snorkel with the turtles which was fun. We did see a few turtles, which was neat, and got a nice tour of the island, but the snorkeling didn&apos;t have much else. We may be spoiled from seeing so many turtles on a trip to Hawaii that this was just "meh." Code: BBC3, we all had a terrific time.